Opened in 1918 and named Henry Miller's Theatre after the eminent actor-producer of the day, this neo-Classically designed venue has been operated by Roundabout Theatre Company since 2007. Before that it has seen various incarnations as a discotheque and even an adult film theater during the Sixties! 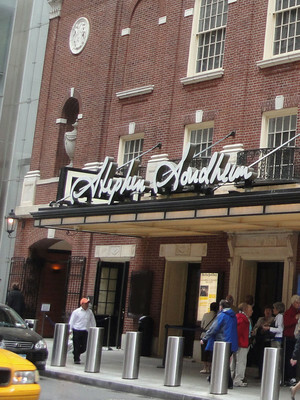 It was renovated by the RTC shortly after acquisition in the last decade and was renamed in 2010 in honor of celebrated composer and lyricist Stephen Sondheim for his 80th birthday. It remains to this day, one of only two subterranean theaters in the district, the other being Circle on the Square.